Traditionally, many people wait until they have a health problem, then seek medical attention, treat symptoms with medication, and have surgeries. Functional medicine is about wellness. It is about trying to better understand the body and all its connectivity and cooperation between systems and organs, and maintaining the body in an optimal way. When there is a health issue, it is about realizing there are many ways we can support the body to bring about repair, renewal, and rejuvenation by giving cells the building blocks they need to heal. It is looking at the interaction between genetics, diet, hormone imbalance, toxin exposures, infections, and psychological factors, discovering the root cause of the broken biochemistry. It is possible to overcome problems created by genetic predisposition by using nutritional interventions. To illustrate the concept of functional medicine, think of a tree, and keeping it healthy. 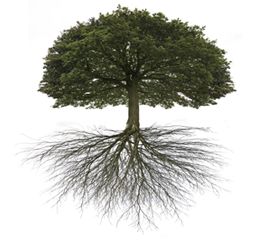 It is done by supporting the roots and soil, the foundation of the tree — not spraying it or treating it once it is already diseased. The problem with conventional medicine is that it continues to only treat the “leaves and branches” of the tree but never gets to the root of the problem or condition. Auto-immune disorders, cancer, and chronic inflammatory disorders are all treated through functional medicine principles, supporting, not blocking, a healthy immune system. We do this by diagnosing and managing nutritional deficiencies, proper weight management, education on clean living, by removing triggers – avoiding the creation of “abnormal proteins” that can inappropriately stimulate a sensitive immune system, and dealing with stress itself. Our doctors seek to inform and educate their patients about Functional Medicine utilizing it to help patients improve their lives. Symptoms of chronic disease and illness recede when the body’s primary functions are addressed and improved. Our doctors find biochemistry to be fascinating, and enjoy the many applications it has for wellness. They look forward to sharing this enlightening and beneficial information with you. We look forward to serving you and enhancing your life through functional medicine and therapies.